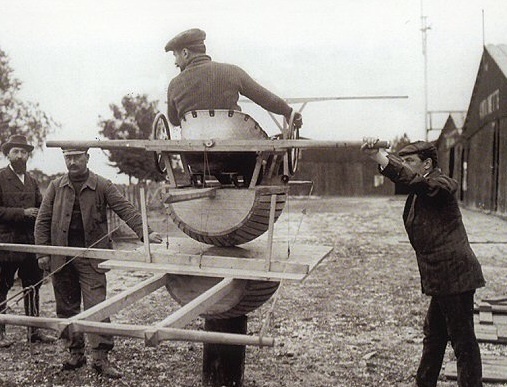 The creation of devices to simulate, and therefore train pilots for flight, has been around since the very first airplanes. One device in 1910 (lower left) was made up of two half barrels. The pilot sat in the top section and was manually moved to simulate pitch and roll of a aeroplane. By 1930, the Link trainer was developed (lower center) and was still being used to train pilots in instrument flight when I went through US Army Primary Flight School. By the sixties, the airlines, at least, had much more sophisticated simulators. A typical simulator for a Boeing 707 included a full cockpit representation with realistic functioning controls and instruments. Visual aids where not generally incorporated at this time and the cockpit windows were merely frosted to simulate flying in the clouds. The flight simulators used by the Airlines and military today are very sophisticated. They incorporate full cockpit sections (lower right) with realistic visual aids out the window. Modern computers tie in all the control functions to be able to simulate instrument approaches along with about any emergency that the engineers can think up. 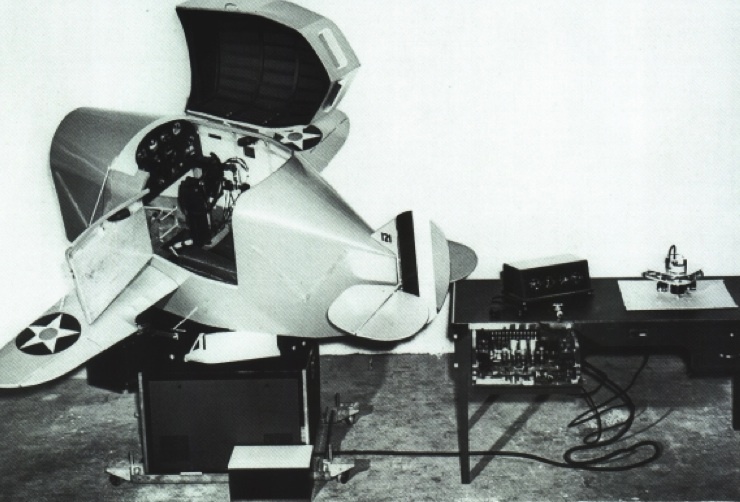 The level of instrument simulation to reach general and private pilots were desktop models. Made to look and feel like airplane instrument panels, these sat on a table top. They came with only a few pre-programed approaches but the FAA considered them good enough to allow a portion of your time on them to be Log-able toward your instrument flight rating. 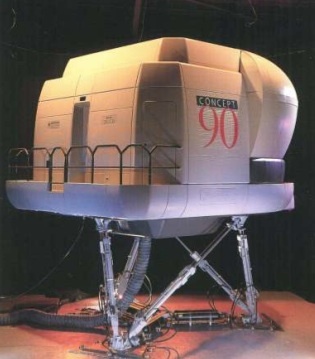 The PC brought a new dimension to flight simulators. All the instruments were replicated on the computers screen and programing improved the functioning of the instruments. Visually, all the early programs only incorporated a map which depicted the aircrafts simulated path over the top of it. Because the instrument panel was so small on computer displays, and therefore lacking in some realism, the time on these were no longer legally log-able, and the term “procedures simulator” was now used to describe there function instead of “flight simulators”.